This entry was posted on Friday, October 15th, 2010 at 12:59 pm	and is filed under Gaming History, NES / Famicom, News & Current Events, Retrogaming. You can follow any responses to this entry through the RSS 2.0 feed. You can skip to the end and leave a response. Pinging is currently not allowed. Ah, familiar territory. I’ve spent more time inside NES consoles than any other, (which sounds oddly suggestive now that I think about it…) in my efforts to combat the problems which plague the well-used toasters. One time I had to swap out a 72-pin connector twice in one afternoon order to calm the old grey box’s seizures. 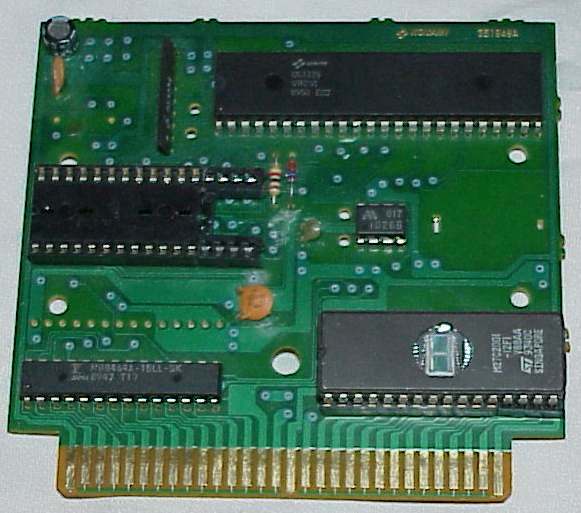 I also find it absurd how small the circuit board is in the NES carts. I would occasionally deep-clean my NES carts by opening them up, and the first time I did, it felt like I should be able to rent out all that extra space. I know they wanted to make them feel more like VHS tapes than video came carts at the time, but man was it overkill. Also amazed me at what debris could build up inside the carts over the years. I always enjoy your teardowns. There are two points I am a little curious about, though. First, in the controller, it seems to be lacking the chip that would go inside. Maybe it is on the other side of the board, though. The chip is an 8 bit shift register. Each button (notice that there are 8) would correspond to one bit in that register. 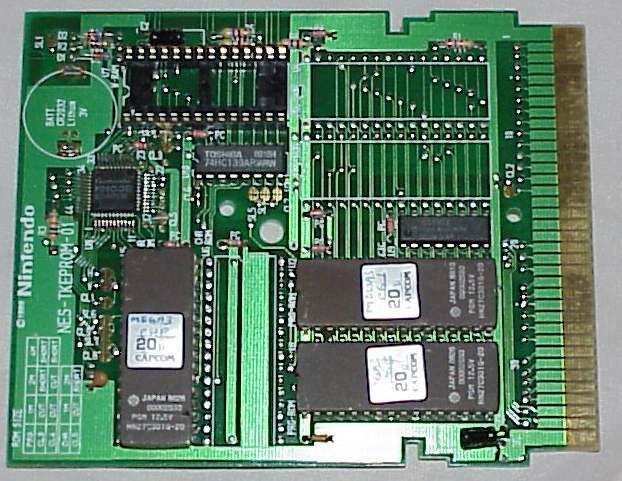 When the game wanted to read it, it would start clocking one pin in the connector, and the shift register would put each bit on a data line. The NES would clock it 8 times each time it would read the controller. I only know this because I made use of a controller in a project. The second thing I note is that I don’t believe every cartridge was so empty. I know that Gameboy’s had a variety of cartridge types. I know that the Gameboy had a variety of cartridge types that would identify themselves differently. Some would have more ROM chips and have more data available. Some would have a bit of writable memory for saving. I would imagine that the NES was the same, where some cartridges would need more room for more ROM and for memory chips for saving. jdiwnab: Like Mike said, the IC for the Control Pad is on the other side of the board. Also, I’ve never seen a cartridge PC board (even battery-backed ones) take up more than half of its plastic case, which Mike’s link illustrates quite nicely. I think that website used to have a lot more interesting pictures that just weren’t correctly linked from the main page and are impossible to find now. Great slideshow and commentary. You gave a great simple and clear look at the NES hardware. Well done!